1. How do I register for GAI courses? Please note: You need to complete the online registration on our website in order to be enrolled or reserved in a course. Submitting only a training form request such as SF-182 or DD-1556 does not constitute proper registration and may delay your enrollment in our courses. 2. Can I register without payment information? Yes, you can submit your registration without payment information. However, please note that your registration status will be reserved until we receive payment information. Once payment is received by our office you will be officially enrolled in the course. 3. Is there a deadline for submitting a course registration? No, there isn’t an official deadline for submitting a registration, but there is a deadline for submitting payment information. Registrations will be accepted (provided there are spaces available) as late as 2 working days prior to the start date of the course. In order to be enrolled and guaranteed a spot in any of our courses, a registration with your payment information should be submitted two weeks before the start date of the course. However, some of our courses fill up quickly so participants are urged to submit registrations as early as possible. 4. What is the deadline for submitting payment information? Payment information is due two weeks before the start date of a course. If you submit your registration after the payment deadline (provided there are spaces available) please submit your payment information to our office as soon as possible in order to ensure that you are enrolled in the course. 5. Can I register after the payment deadline? Yes, you can submit your registration after the payment deadline provided there are spaces available in the course. However, please note that you have to submit your payment information to our office as soon as possible in order to ensure that you are enrolled in the course. You can submit payment by credit card (Visa, MasterCard, American Express); approved training form such as SF-182, DD-1556 or other purchase order forms; or mail a check* payable to the Government Affairs Institute. You can submit credit card information over the phone (202-333-4838), by fax (202-333-8165), by e-email (gai@georgetown.edu) or online by opening the payment page. If you are faxing or e-mailing credit card information, please make sure to include the following: name of registered participant, name and dates of the course, credit card number, expiration date, name on credit card, credit card security code, billing zip code, telephone number, and e-mail address for the credit card receipt. Training forms can be submitted either by fax (202-333-8165) or by e-mail (gai@georgetown.edu). *Each remittance of payment by check is considered authorization to convert that particular check into an electronic transaction. If your check is unable to be converted electronically,it will be processed as a draft against your account. 7. What is your Tax Identification Number (TIN), DUN & Bradstreet Number and Cage Code? Our Tax Identification Number is 52-1943698; DUN & Bradstreet number is 176125474; Cage Code is 097R0. 8. What if I need to cancel or transfer my registration? A written notification is required for any cancellation or transfer requests. Participants may cancel or transfer their Core and Advanced Courses, and Workshop registrations and receive a full refund by notifying GAI either by e-mail (gai@georgetown.edu) or fax (202-333-8165) no later than two weeks prior to the start of the course. If a participant cancels or transfers a course registration less than two weeks prior to the start of the course, but at least two working days prior to the start date, s/he will be charged a $125 cancellation/transfer fee. If participants fail to properly notify GAI of a course cancellation at least two working days prior to the start of the course, they will be charged the full tuition. You can refer to our cancellation and transfer policy here. For Research Seminars, cancellations or transfers must be received in writing at least two weeks prior to the first course meeting to avoid a $300 partial tuition charge. Cancellations or transfers received after that, but prior to the second course, will result in a $500 partial tuition charge. No refunds will be given after the second course. 9. Do you allow substitutions and are there any additional fees? Substitutions are allowed and no additional fees will be charged. Requests to substitute someone for a registered participant must be submitted in writing either by e-mail (gai@georgetown.edu) or fax (202-333-8165). Please include the following information in your request: name of registered participant, course name and dates of attendance and name and contact information (e-mail and phone number) for substitute. 10. How do I place my name on a waitlisted course? Please submit your online registration for that course and you will be automatically placed on the waitlist. If a slot becomes available, you will be contacted by GAI to confirm your attendance in the course; you will be officially enrolled in the course once GAI receives your payment information. 11. When and where are GAI courses conducted? The majority of our open enrollment courses are conducted in the House and Senate office buildings on Capitol Hill (unless otherwise indicated) and normally begin at 8:00 a.m. on the first day of the course. On some occasions, courses may be conducted in Georgetown University School of Continuing Studies meeting space. Research Seminar courses which are part of the certificate program curriculum are almost always conducted in the Government Affairs Institute offices here in Georgetown (Washington, DC). Enrolled participants will receive an e-mail confirmation approximately two weeks out that specifies the exact location of a course. You can always contact us by e-mail at gai@georgetown.edu or by phone at (202) 333 -4838 if you have any additional questions regarding the location of a course. In addition, if you are enrolled in a course and you have not received this information in the specified timeframe please reach out to us to make sure you get this information promptly. 12. When will I receive the course agenda? A detailed course agenda will be distributed to all participants on the first day of the course during the morning session. The schedule for each day may vary slightly; however, sessions will not begin before 8:00 a.m., nor adjourn after 4:00 p.m.
13. When will I receive course related materials? Course materials will be distributed to participants during the initial session on the first day of course ; the cost for materials is included in your tuition fee. The only thing you need to bring is a pen. 14. Are meals included in the tuition price? A continental breakfast and a working luncheon are usually provided on most days of some of our courses. Please contact the office (202-333-4838) at least two weeks in advance if you have dietary restrictions. We will try to accommodate your needs as best we can. 15. What is the dress code? Civilian business attire (coat and tie for men) and shoes suitable for walking are appropriate dress for this program. Also, rooms may be chilly, so a light jacket or sweater is advisable as well. 16. Will GAI provide hotel accommodations for out-of-town participants? No, participants are responsible for making their own hotel accommodations and travel arrangements. However, we do provide suggestions for hotels that are within reasonable distance from Capitol Hill. See the “Where to Stay“ section here. 17. Will I receive a certificate of completion on the last day of the course? GAI provides certificates of completion only upon written request by the participant. To obtain a certificate of completion, please e-mail gai@georgetown.edu with your name, course attended and complete mailing address. Please allow up to two weeks to receive the certificate in the mail. If you prefer, we can e-mail a scanned copy of the certificate of completion instead. Please indicate this in your written request. 18. Are there eligibility requirements for GAI courses? While our courses are designed primarily for federal personnel, anyone is eligible to enroll with the following exceptions: Congress and the Intelligence Community is limited to federal employees; and the Seminar for Executives on Legislative Operations is intended for GS/GM 14s, 15s, and SES who are more likely to interact directly with Congress. 19. Are there any prerequisites for GAI courses? Two of the advanced courses, Advanced Budget and Appropriations Process and Advanced Legislative Process do have prerequisites. Both courses presume a solid understanding of congressional vocabulary, institutions, and procedures. The best preparation for these courses is the Congressional Operations Seminar or any of our three or four-day courses tailored for individual agencies. Congressional Justifications Workshop requires completion of a core course and Advanced Budget and Appropriations Process. It is helpful, although not required, that participants taking the Preparing and Delivering Congressional Testimony or Executive-Legislative Branch Relations courses first complete a core course as well. Those who haven’t taken a core course but have considerable work experience in legislative affairs may contact GAI to discuss if your enrollment in any of the advanced courses would be appropriate. 20. Will courses include a tour of the Capitol? No. However, in most 4 or 5-day courses, participants will attend hearings in the House and/or Senate office buildings when one or both of the chambers is in session; and will also be provided the opportunity to observe floor action from the House and/or Senate galleries in the Capitol when one or both of the chambers is in session. Access to the galleries will be via the Capitol Visitors’ Center, which includes a variety of interesting exhibits. Attending hearings or floor action is not part of any of the Advanced Courses, Short Courses, or the Seminar for Executives on Legislative Operations. 21. 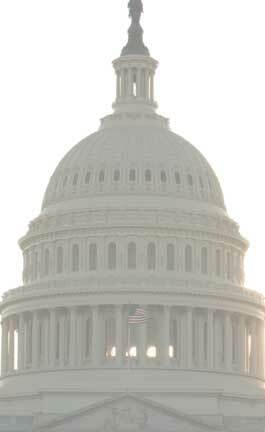 What is the application deadline for the Certificate Program in Legislative Studies? There is no formal application deadline. Applications are accepted on a rolling basis throughout the year. For more details about the Certificate Program, including program requirements, please click here. 22. How long does it take to process and review applications? Applicants will receive a letter in the mail with the admission status approximately two-three weeks after submission of a completed application. Please note that we will only review applications that include all of the required supporting materials. 23. How long does it take to complete the Certificate Program? The program is designed to be completed within eighteen months, but can be completed in a longer or shorter period. 24. I have completed courses in the past with GAI and I have now decided to apply to the Certificate Program. Will I be able to apply these courses towards the academic course requirements of the certificate program? Generally you will be able to apply past courses towards the completion of the Certificate Program. Please contact the office (202-333-4838) so that we can review your registration record and advise you as to which courses will count towards completion of the requirements. 25. Can I apply work experience towards completion of the Certificate Program? No, we do not grant course credit for work experience.